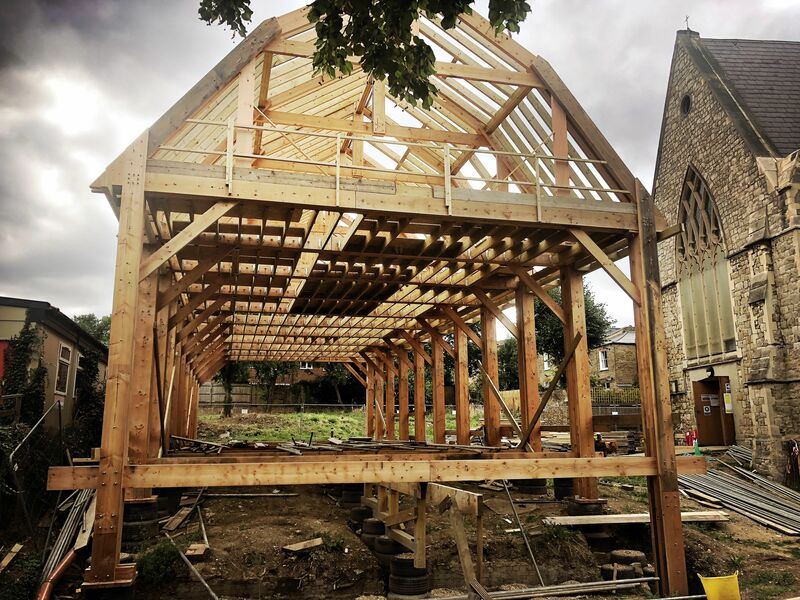 Holy Trinity Church in Tulse Hill, south west London, put its faith in natural materials and green, low-impact building methods for its Neighbourhood Hub, designed by specialists Straw Works and built in part by local volunteers. The environmental provenance and timber species used for the frame required large sections of home- grown Douglas Fir. These were sourced, kiln-dried and planed by one of the few UK sawmills able to handle such large dimensions, Timber Trade Federation member East Brothers. The requirement was for kiln-dried Douglas Fir, as sections were to be laminated together on site. East Brothers’ kilns are powered by biomass from their own sawmill and processing operations, further contributing to the green credentials of the project. The timbers were cut oversize to allow for kiln shrinkage and planing. Lengths of up to 10m and widths of 300x400mm can be processed, giving designers greater scope with timber builds. Timber already locks away CO2 in its fibre for the life of the building or product it is used for. With sustainable re-planting and harvesting, wood can make a substantial contribution to a building’s carbon footprint. 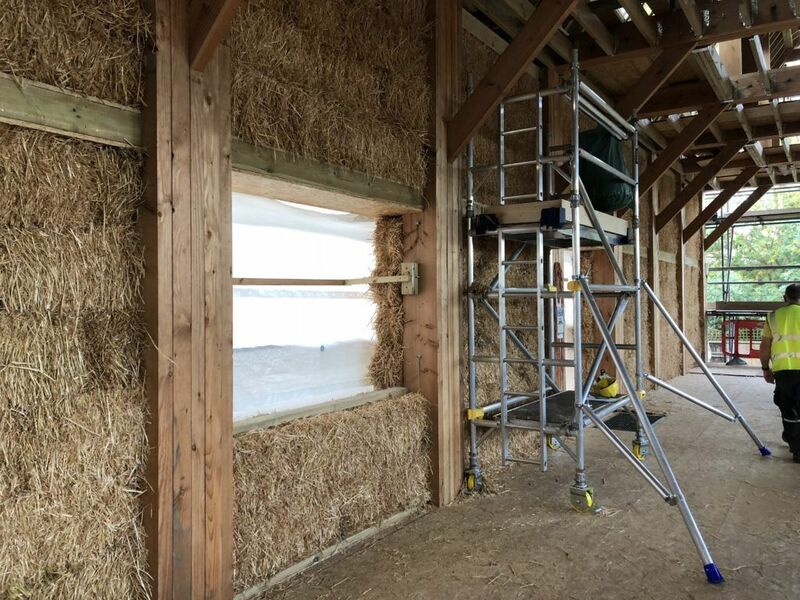 The addition of local sourcing to the CO2 reduction mix featured in the Holy Trinity Tulse Hill straw-bale build. 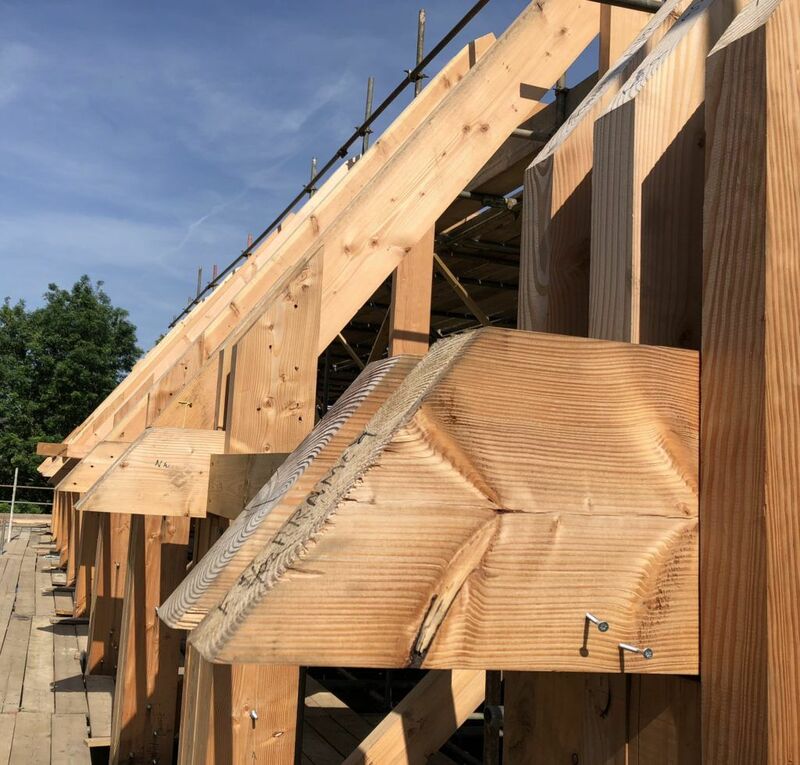 East Brothers are able to source British timber species from local estates and from the Forestry Commission, and all within a 50-mile radius of their Wiltshire sawmill. Local sourcing kept ‘wood miles’ to a minimum for this special green building project. 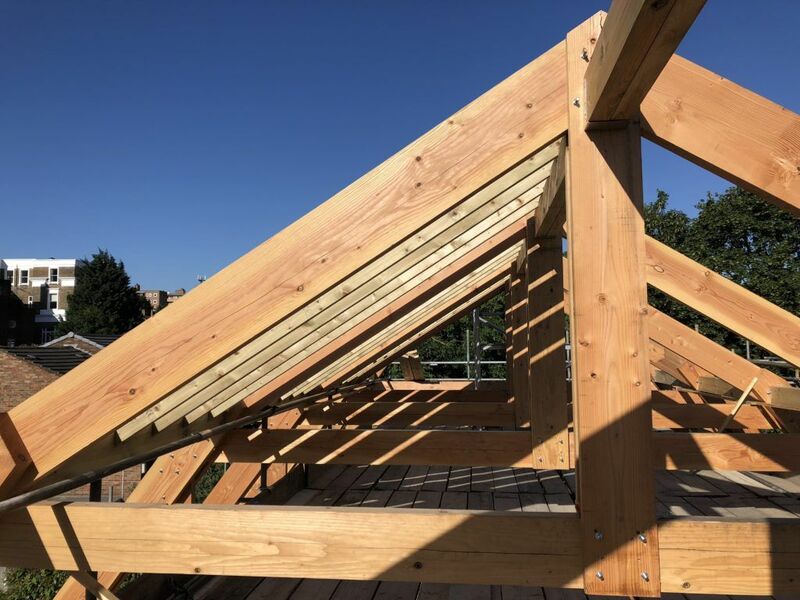 Timber merchant and sawmillers East Brothers, established in 1886, has built up relationships with local estate owners and the Forestry Commission, enabling it to offer and process a range of locally-sourced British timbers. As a Timber Trade Federation Responsible Purchaser, East Brothers undertakes deep due diligence on its range of softwoods and hardwoods for architects, engineering and joinery customers. From Ash to Utile, East Brothers Timber ensures supplies of Timber you can Trust.